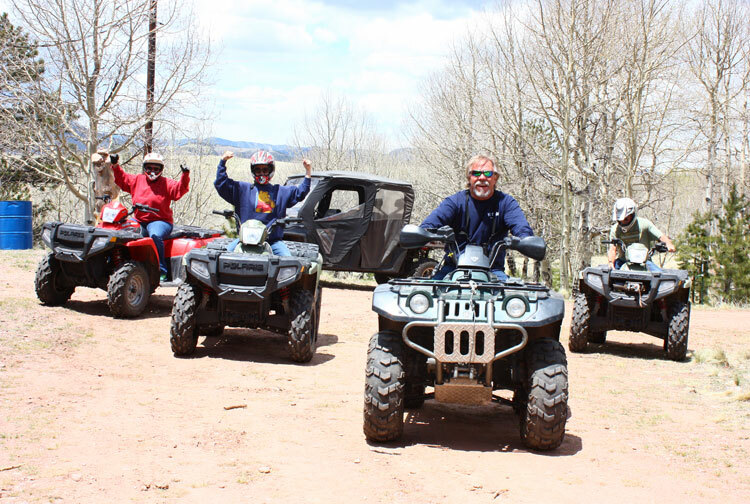 You are here: Home / My Life / Memorial Weekend at the Ranch! Memorial Weekend at the Ranch! Disclosure: This post was sponsored by Starbucks as part of an Influencer Activation. I received compensation and complimentary products to facilitate my review. Memorial weekend was a busy weekend for us! 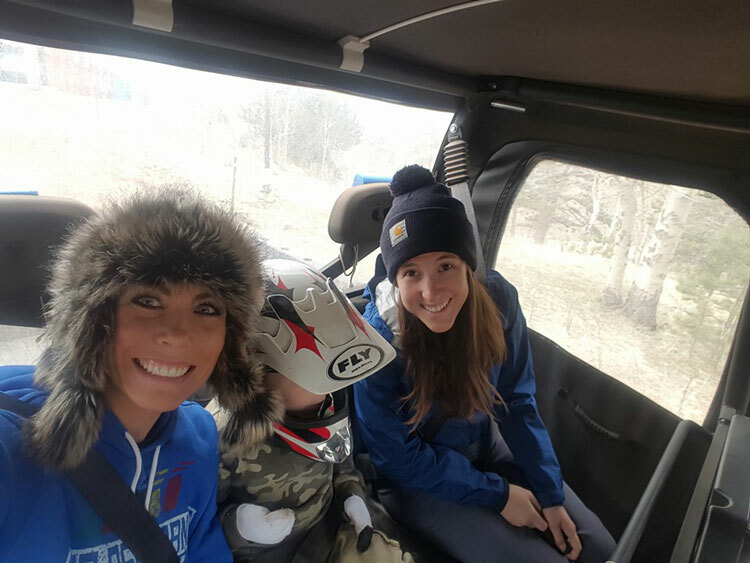 We spent nearly a week at our family ranch. 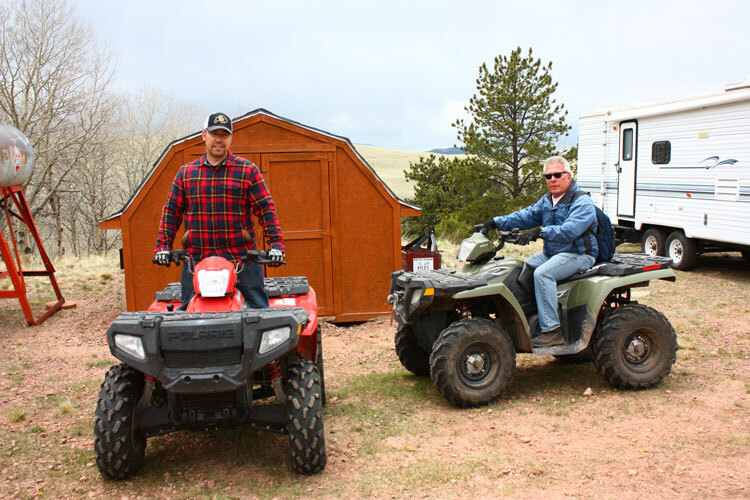 Last Wednesday, we made the 4 hour drive down to our family ranch which is located outside of Canon City, Colorado. We were one of the first to arrive, and then slowly family started showing up by the car fulls! By the start of the weekend we had a FULL house of 25+ people! The ranch house is enormous! It has 8 bedroom including lots of bunk bed rooms and 2 camper trailers – it sleeps 26 people! We pulled out some floor mattresses and sleeping bags too – let’s just say every corner was full of people! With this many people it is sometimes hard to stay organized. But not in this family! My mother-in-law is an organizing, strategizing, planning genius. When it comes to entertaining, she’s a pro. All the meals were delicately planned and portioned by my mother-in-law. There was a list on the refrigerator delegating items for each meal. Food in the garage fridge was full of food for meals, while the fridge in the kitchen was for left-overs and food for snacking. She had everything down precisely. Every breakfast, lunch and dinner was like a catered meal from a restaurant. The planning for the weekend didn’t stop at the food prep though. Everyone had their own towel hook in their rooms for their personal showering towels. No misplacing your towel or using more than one – there was only one per person! What a great system for less laundry! 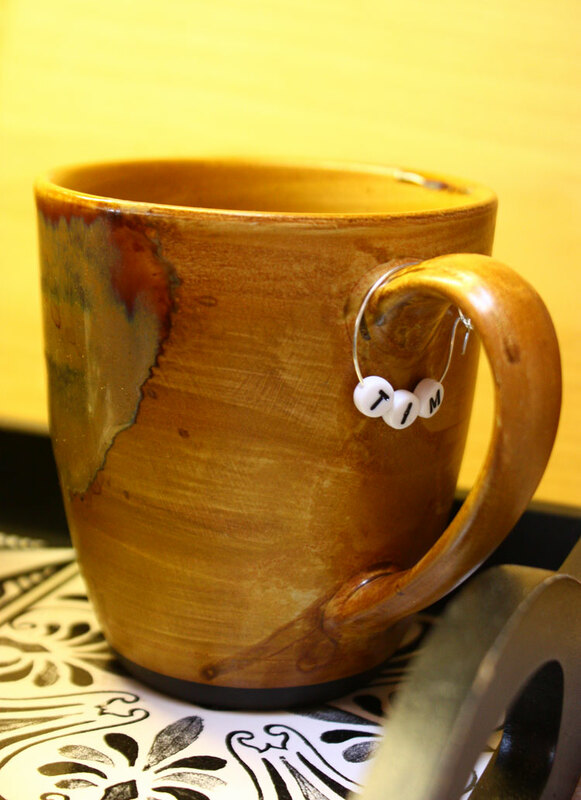 Even our morning coffee mugs had cute little handmade charms with our names – so we weren’t wasting plastic or paper cups! This also cut down on the washing responsibilities – you rinse your own cup! Many of us used our coffee cup all week and never used another cup at all! Yes, that means coffee in the morning, maybe some orange juice, water, and a cocktail at night. Rinse and re-use the cup again in the morning! The coffee station at the ranch was a hoot. In the mornings we had 3 coffee machines going! One Keurig® and two family-style coffee makers. The family-style coffee makers were labeled “light roast” and “dark roast”. Then there was a drawer full of various Keurig® style teas, hot cocoa, half-cafs, and other specialty coffees. 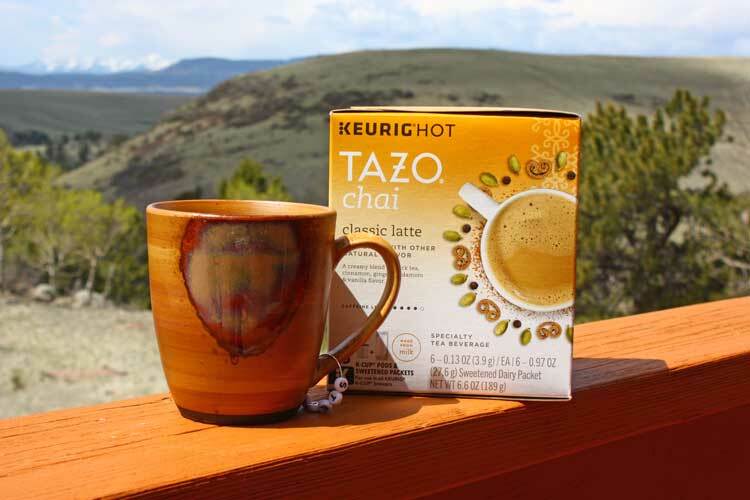 I brought a box of the new TAZO® Chai Latte K-Cup® Pods to share, and added it to the collection in the drawer. One morning my aunt and I sat on the porch and tried a cup of the “Sweet Meets Spicy” TAZO® Chai Latte K-Cup® Pods together. We chatted about how funny it is that everyone has their own specific coffee preferences! 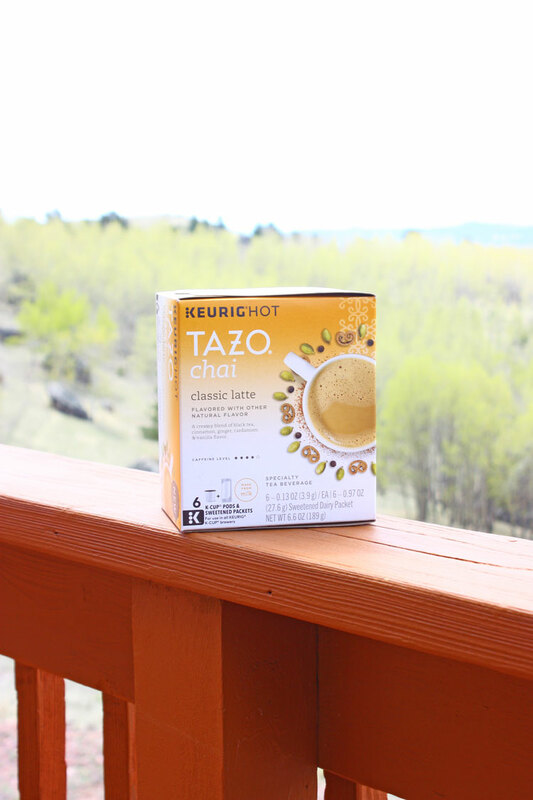 As for ours, we love a sweet cup of coffee and the TAZO® Chai Latte K-Cup® Pods from the Keurig® brewer was right up our alley! It was delicious and flavorful – cinnamon, ginger and cardamom! It was a perfect warm blend to sip on while we reveled in the endless mountain view. After we all enjoyed breakfast together, which was paired with our morning pick-me ups, we made the most of the day! 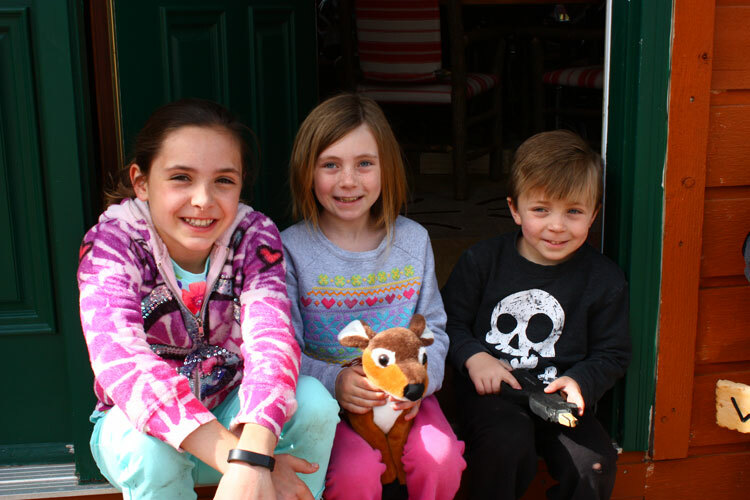 There was lots of action and fun to be had at the ranch and outside the ranch! 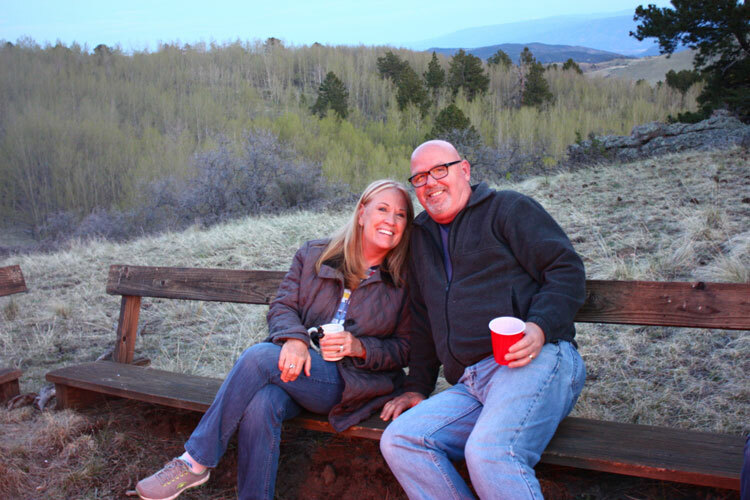 We did puzzles, sat on the porch, fired up the fire pit, celebrated a 34th birthday, celebrated a 60th birthday, road ATVs, shot guns, played games, went on bike rides, visited a nearby castle, took a scenic drive – and more than anything visited with family from near and far. Family drove and flew in from Texas, California, Oklahoma and Colorado! It was so nice to get together in one place and just be a big family. On Friday, a few of us split off to make a short road trip to see Bishop’s Castle. It was about a 3 hour event – but well worth it! The Castle is hand built by one man! He has been building the castle for over 50 years! He has it open to the public and shares it with anyone who wants to visit. It is just right off the road within San Isabel National Forest. The Castle is an incredible site! On Saturday, we ran a bunch of errands getting ready for the big evening party. We picked up a sheet cake, some random supplies and 18 pounds of pulled pork! Before heading back up to the ranch, we took a beautiful scenic walk along the Arkansas river in downtown Canon City. The party that evening was a blast. There was a great turn out of even more family and friends for my father-in-laws retirement/60th birthday party. We enjoyed good food, a keg, and plenty of outdoor games. 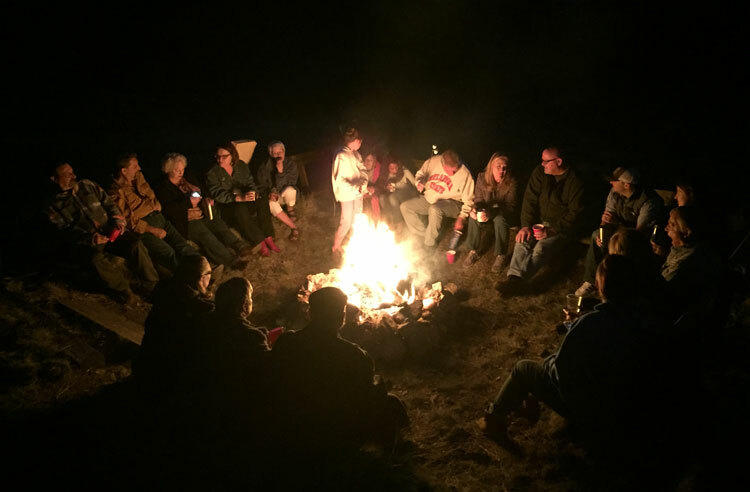 We closed the party down at the bonfire pit. It was a celebration to remember! On Sunday, we recovered from the late night partying! We took it easy hanging out at the ranch for the day. We road bikes and ATVs. 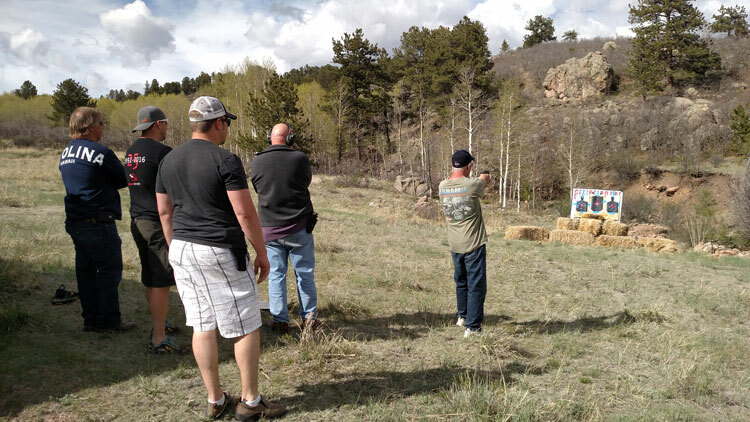 We also put up some haystack and bulls-eyes and tested out shooting guns. Dan and I stayed up late again teaching one of our favorite games, Settlers of Catan, to our family who was willing to learn and play! I finally won! On Monday, our Memorial Day Weekend came to a close. 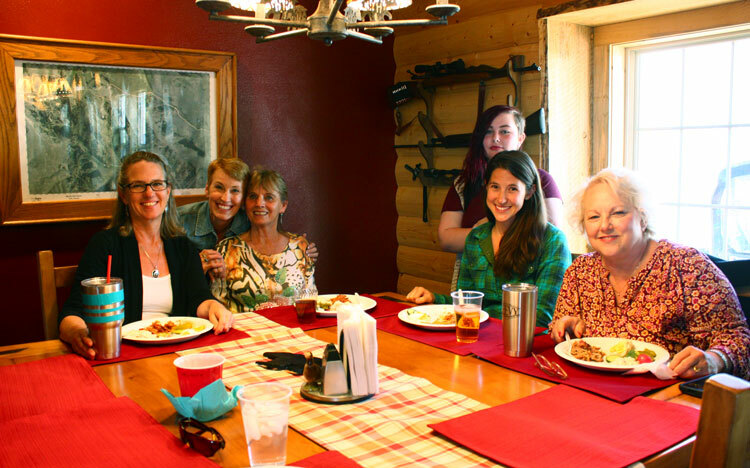 We said goodbye to the weekend, the ranch, to the out-of-towners and to our amazing grandma. 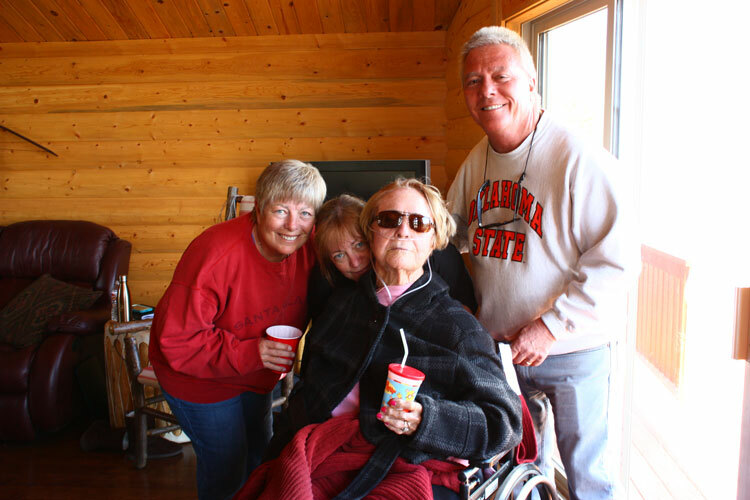 My husband’s grandma ended up spending her final days up at the ranch and passed away on Monday afternoon. 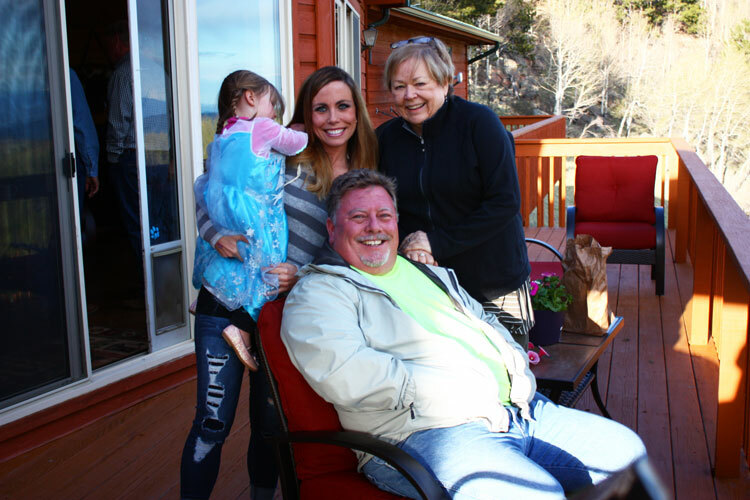 While it was a sad day, we are so happy she could spend her last day with family who loved her, in a beautiful place in Colorado. Welcome to Heaven, Grandma! On our long drive home my husband and I had lots of reflection about the weekend. We talked about the fun we had, the great party events and the awesome conversations we shared with our family. We left the ranch filled with good memories of laughter, love and life. This weekend was a wonderful reminder to share as much time as you can with those that you love and to tell them often that you love them. How was your memorial weekend? Did you spend time with family? Did you enjoy good food and good conversations over coffee? This looks like such a fun way to spend a family day together. away from work and the usual stress. I love your photos. Have never tried a latte. Not sure it would be for me, but you sure make it look and sound good. Your family looks like they had so much fun! It is nice to be able to get together like that. The charms on the tea-cups were also a nice touch. Although I think I would keep filling my cup with coffee and not orange juice :). 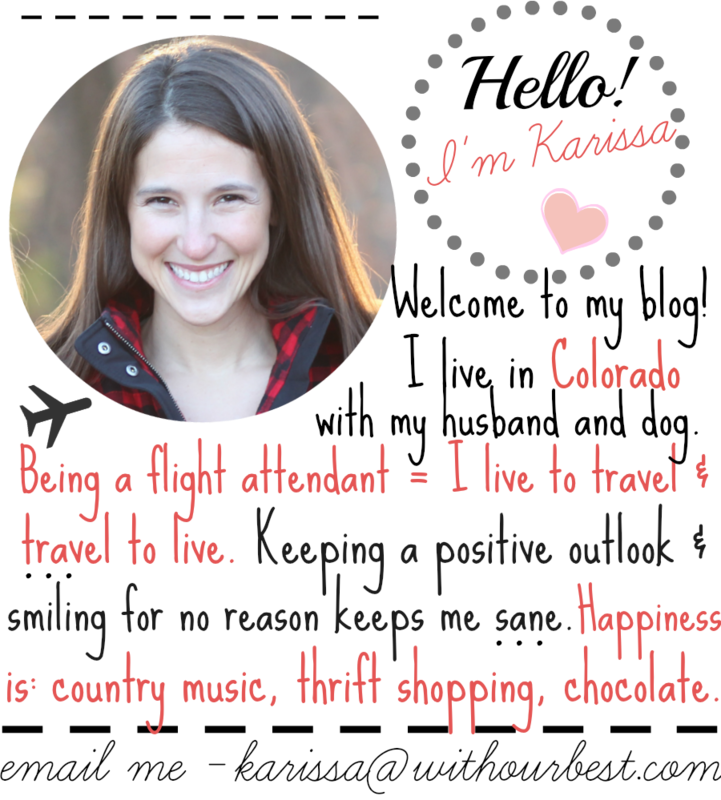 Karissa, your weekend (or shall I say almost a week) with the family of 25+ is well spent. Nothing beats a relaxing atmosphere surrounded by the people you love. Kudos to your mother-in-law for the detailed planning! Even the mugs are well thought of. Sending warm birthday greetings to your father-in-law, I am sure he is so thrilled to spend his 60th with his big family who flew in from various states. The only tea I will drink is Tazo tea. Seriously. 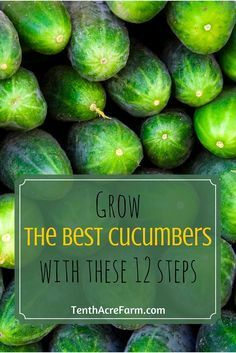 I absolutely love the variety of flavors and the high quality of ingredients. It sounds like I’m not alone with my Tazo tea love. Sounds like you had a wonderful weekend with your nearest and dearest for Memorial Day weekend. You all look like you had so much fun on Memorial Weekend. I am loving the fire and everyone around it! Looks like it was a nice warm night with some good times. However, I haven’t tried Tazo yet…. Isn’t that sad? I always see it but never bother to try it =( One of these days I will…. Hopefully sooner than later. This is my dream! 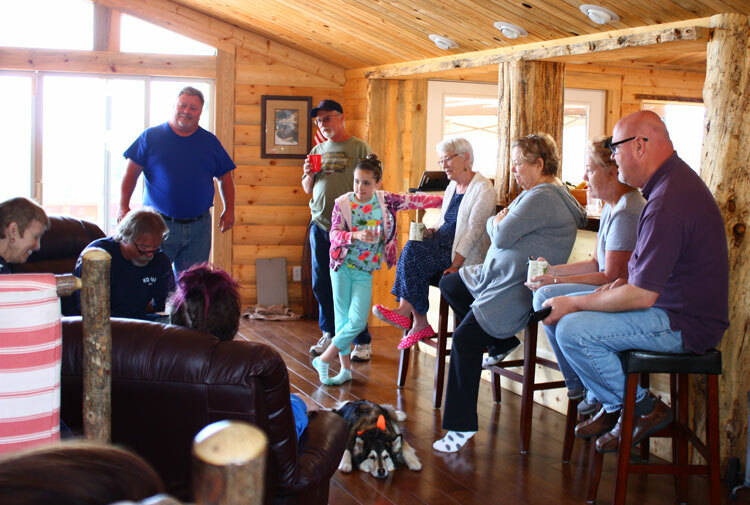 I love large family gatherings where there is a lot of conversation, memory making and just plain fun! Your mother-in-law and I would get along perfectly — I love it when everything is organized and planned out. I have some Tazo tea and I seriously love it so much! This was so fun to read through, honestly. I love spending time with my family and I love seeing others do so as well. It’s so uplifting and I love that you guys had so much fun!